A Great Night Out - Kampai! : Kampai! 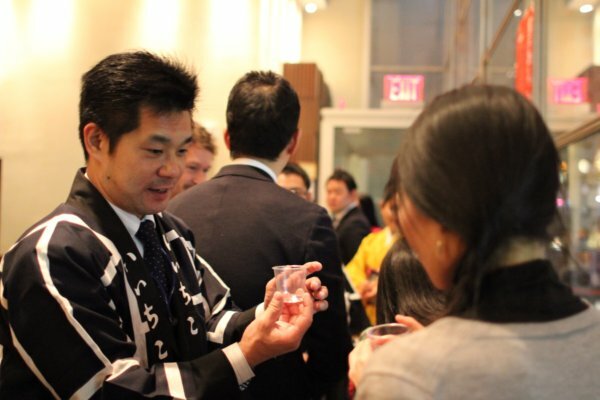 In Manhattan on Sunday, February 12th nearly 300 people were treated to a taste of shochu from the hands of shochu producers visiting from Japan. 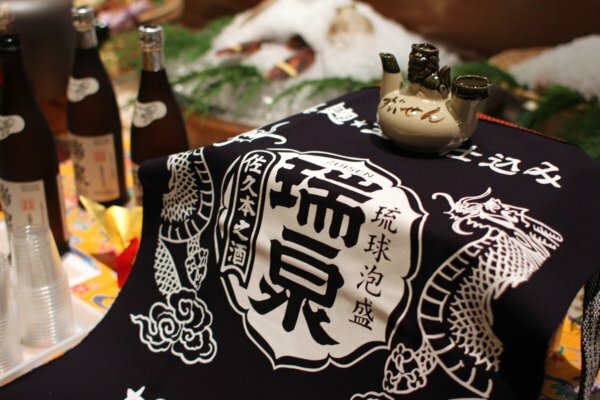 Dinner guests at Inakaya, Robataya, and Sakagura were greeted with sixteen shochu producers sampling their products. At Inakaya the producers were situated around the perimeter of the high ceilinged space where we tried old favorites such as iichiko, Zuisen, Jinkoo, and Kappa No Sasoimizu, but were also introduced to a new distillery – Komasa Jyozo from Kagoshima Prefecture, which now offers four new products in the U.S. Window’s Mugiichi and Window’s Migaki are mugi shochus. 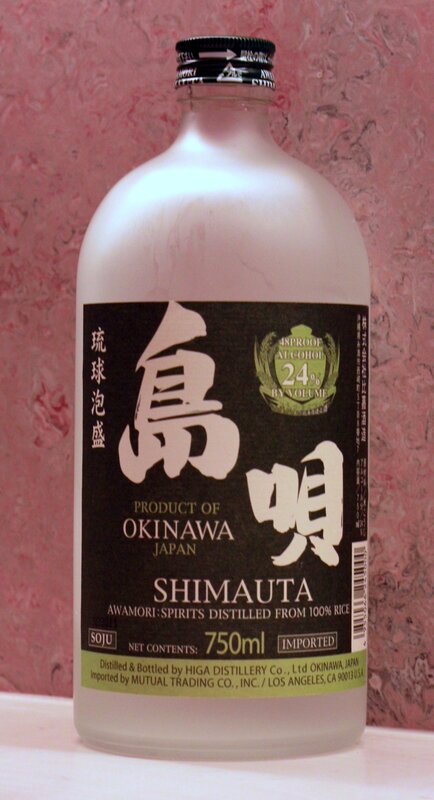 Mugiichi is a light barley while Migaki is that same shochu aged in oak barrels. Their other products are imo shochus – Kozuru Kuro, an unaged black koji sweet potato shochu and its aged equivalent, Kura No Shikon. All of these are very nice additions to the U.S. market. We’ll definitely be doing reviews of all four at some point. At Sakagura, the producers were arranged in a private room where lucky diners had easy access to the products including some of our favorites – Shiro, Kumesen, Iki, Yamanomori and many others. More producers were present at this large basement temple to sake than either of the other venues. Sakagura proved the best place to try genshu (undiluted shochu) with Satsuma Shuzo’s Kuradashi Genshu, a 37% beast with rich, luscious flavors and Shinozaki’s Sennen No Nemuri, a 40% mugi shochu in lovely packaging. Hope both of these appear stateside soon. At Robataya, our last stop, we found the shochu producers in the center of the dining room with a nice assortment of shochus including Ryukyu Ohcho, Kaikouzu, and Fukiage. We also discovered two new producers. 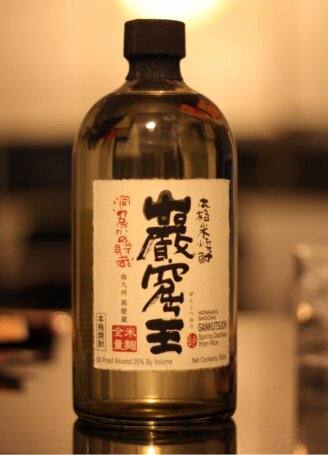 Sengetsu Shuzo, a kome (rice) shochu producer from Kumamoto prefecture. They presented their eponymous kome shochu, Sengetsu, which is light and refreshing, but we were really taken with Kawabe, a more richly flavored kome. We also tried the products of Nishi Yoshida Shuzo of Fukuoka. Their Tsukushi Shiro is a white koji mugi while Tsukushi Kuro is a black koji mugi using the same distillation process. They’re a great example of what a difference koji selection can do to a flavor profile. But the real treat – and unexpected one at that – was Kintaro – a shochu made with roasted barley. The nearest flavor among U.S. products would be Beniotome, which is made with roasted sesame seeds, but even that doesn’t really explain the smokey flavor of this mugi. Again, we’re hoping this comes over here in short order. All in all, Shochu Night Out was a rousing success hosted by JETRO & the Japanese Sake & Shochu Makers Association. There were old favorites and a variety of exceptional new products we’re hoping make it to our shores. But perhaps the biggest highlight for us was meeting the shochu toji – the men and women who make the products were enjoy so much. This classicly distilled sweet potato shochu is made with sweet potato koji, a claim that very few other shochus can make. Rather than growing the koji (rice mold) on steamed rice, Ikkomon’s koji was grown on steamed sweet potatoes. This not only make the product 100% sweet potato, but also gives a unique scent and flavor profile uncommon among other imo shochus.